Efficient infrastructure systems such as highways, bridges, buildings, pipelines, flood control systems (waterways) and utilities are all necessary for healthy economy and comfortable standard of living. Concrete and steel are the backbones of our current civil infrastructure. Timber, a natural composite, also plays a major role as a structural material in North America especially for residential construction. However, fiber reinforced polymer (FRP) composites (fibers, resins and additives) are just beginning to gain acceptability in civil infrastructure because of major research efforts initiated by the National Science Foundation of the United States of America (US-NSF) in 1980s. The application of FRPs for civil infrastructure is resulting in a paradigm shift in material usage because FRPs provide favorable material properties (Figure 2). For example, FRPs provide nonmagnetic and noncorrosive products with higher strength to weight ratios than conventional materials. FRPs are also ‘greener’ in terms of embodied energy than concrete and steel. The use of FRP composites in civil infrastructure can improve innovation, increase productivity, enhance performance, and provide longer service lives, i.e. reduced life-cycle costs. Through proper selection of polymeric resin systems and reinforcements, FRPs can be tailor-made to meet certain strength and performance requirements. Potential ease of application of FRP composites has led the academia and industry to focus their initial research and implementation in: 1) corrosion resistant reinforcing bars (rebar) for highways; 2) bridge decks and superstructures; 3) hazardous material containers susceptible to chemicals; 4) structures with longer spans (> 10,000 feet span) resulting in reduced self weight; 5) utility poles and towers; 6) strengthening and wrapping of in-service structures; and 7) many others, including cold water pipe for Ocean Thermal Energy Conversion project and composite deck houses for next generation navy battle ships. Bridges often deteriorate with aging due to corrosion and require strengthening. In some parts of the world, seismic upgrade of these structures is required for compliance with latest design codes. Many older bridges may require strengthening of the superstructure and substructure to increase their live load carrying capacity and rating. 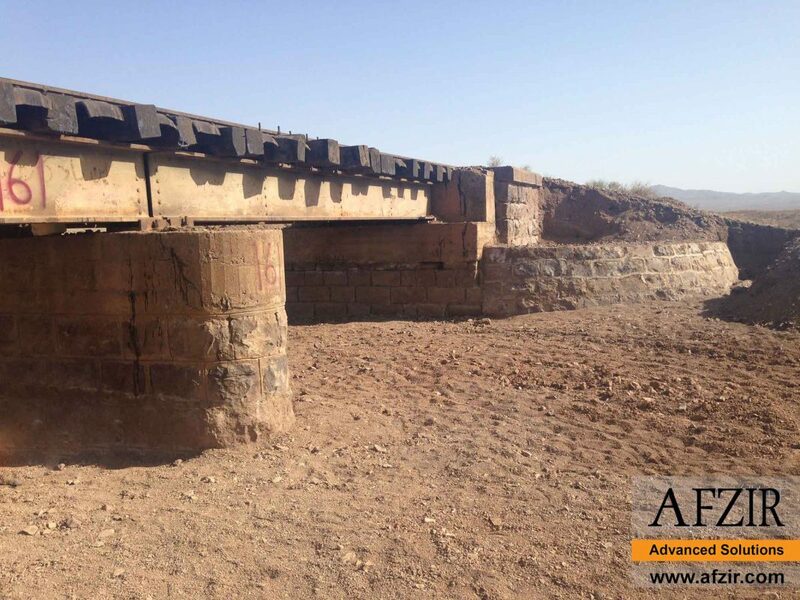 All these conditions create an ideal environment for repair and strengthening of bridges and transportation infrastructure with Afzir Fiber Reinforced Polymer (FRP) products. Advances in FRP composites have led to structural systems that allow for rapid deployment of bridge decks and other highway structures. The bridge structures under discussion include FRP bridge deck, stringer, beam, abutment panel, rebar, dowel bar and posts. Other FRP highway structures are signpost, signboard, guardrail system, sound barrier, drainage system (pipe, culvert), etc. Each of these products represents a high-volume market. Our engineered FRP solutions offer fast, long-lasting and economical repair alternatives to owners, architect/engineers and contractors involved with the transportation industry to ensure the project is completed on time, within budget and with minimum disruption of service. These systems are particularly ideal when the repairs have to be completed in a short time frame and provide a long service life. Afzir FRP systems have been extensively tested by several state departments of transportation and their effectiveness has been well documented. 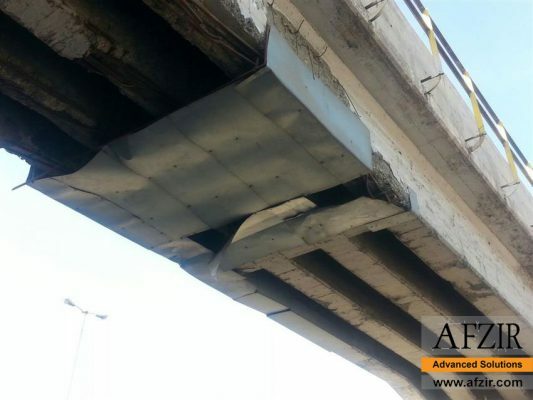 Repair and strengthening of corrosion damaged concrete decks, beams and girders for both flexure and shear. Repair and strengthening of corrosion damaged concrete, timber or steel columns and piling using FRP system. In most cases, Afzir engineers can provide a complete “turnkey” design-build solution that includes sealed engineering drawings by our in-house engineers, all of the materials needed, and installation by one of our approved and certified installers or our construction company. This unique turnkey design-build approach results in significant efficiency, time and cost-savings, and minimizes the potential errors and delays that can result when multiple groups are involved in one project. 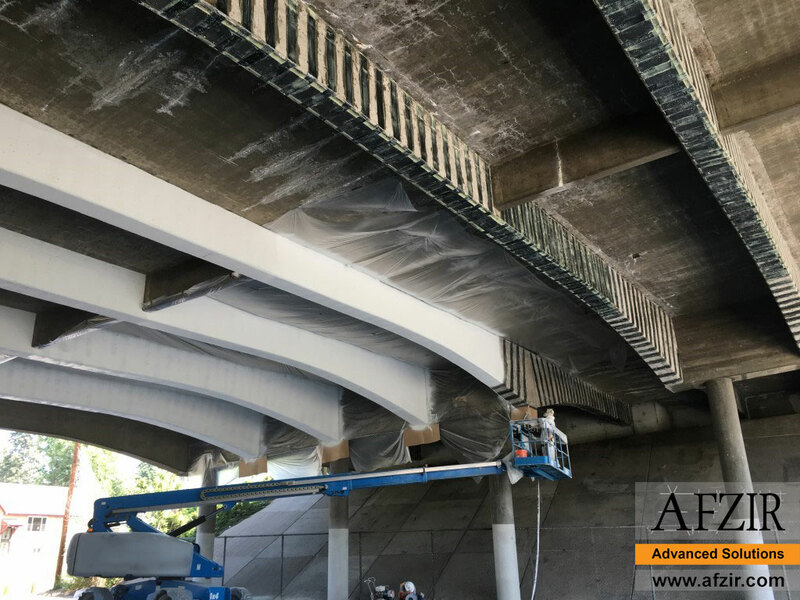 Afzir also welcomes the opportunity to partner with owners, architects, engineers and contractors by providing any single aspect of the project, i.e., design, materials, or installation for a specific project in any bridge project. Airports whether large or small have a variety of structures that require maintenance and strengthening. Many of these facilities were constructed decades ago and have reached or exceeded their original service life. Afzir’s Fiber Reinforced Polymer (FRP) products can offer an economical solution to many such repair projects. These repairs can be performed in much shorter time compared to conventional repairs using steel and concrete. Our engineered FRP solutions ensure the project is completed on time, within budget and with minimum disruption of service to the traveling public. National and regional railroads throughout the world have a significant inventory of bridges. Many of these structures were constructed decades ago and have reached or exceeded their original service life. The remote location of these structures that is often hard to access make repairs with conventional materials such as concrete and steel very difficult and costly. Afzir’s Fiber Reinforced Polymer (FRP) products can offer an economical solution to many such repair projects. Whether it is for corrosion repair of concrete and steel beams and columns, strengthening of deteriorated timber beams and piles, increased live load capacity, or seismic upgrade, FRP offers fast, economical and long lasting solutions compared to conventional repairs with steel and concrete. Our engineered FRP solutions ensure the project is completed on time, within budget and with minimum disruption of service. In some cases, we can train the railroad’s maintenance crew so they can maintain their bridges when their workload is light to allow such tasks. Afzir FRP systems have been extensively tested by several state departments of transportation and their effectiveness on strengthening of piles and columns has been well documented.